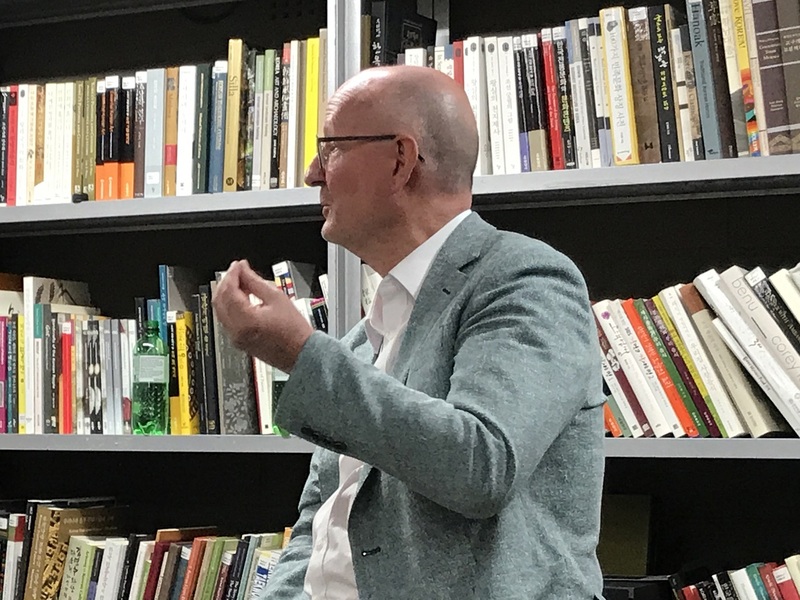 When going to a book talk, it is all too common to find that the moderator has little knowledge of the book or its subject matter, and asks the author embarrassingly shallow questions leaving the audience and author short-changed. 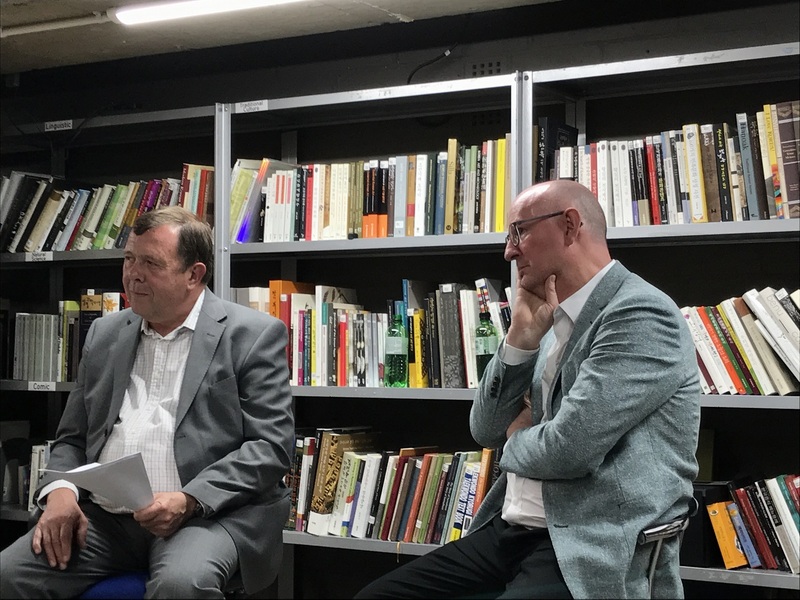 No such risks last night at the KCC, where the British Korean Society’s Chris Hollands conversed with Michael Breen about his book The New Koreans. Though he cannot match Breen’s 35 year stint in Korea, his time on Standard Chartered’s management team integrating Korea First Bank and three years heading the British Chamber of Commerce in Seoul gives him plenty of insights. The audience, too, was full of expertise and included the BBC journalist who had a role in getting Breen the job of writing his first book on The Koreans (1998) which became something of a bible for foreign businessmen in Seoul, particularly those working for Standard Chartered, as Chris Hollands attested. The New Koreans, originally envisaged as a three month project, maybe updating a few details here and there and adding a final chapter to bring the thing into the second decade of the present century, became a one-year rewrite. “I no longer agreed with what I had written,” Breen confessed. The first book was written through the eyes of a journalist. Now, as a businessman and married to a Korean he has a different perspective. In the first book he had expected the reunification of Korea to happen soon. While he still believes it will happen, the timing is less imminent. 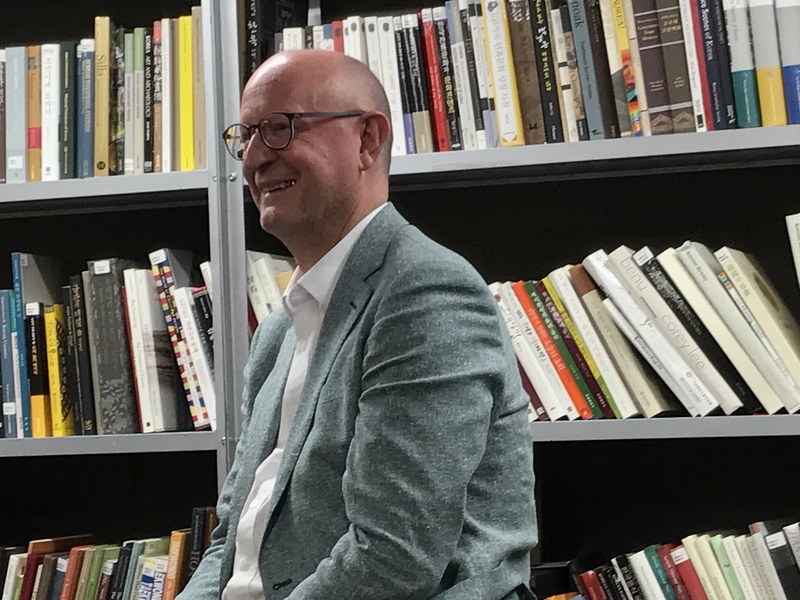 What is new since his first book is the emergence of Korean culture as something that is much more recognised globally. Asked about some of the changes that have surprised him most over his 35 years in Korea, Breen first highlighted men’s sense of fashion. He cited a businessman wearing a mismatched suit with a lack of concern back in the 1980s – unthinkable today among young metrosexual males who lead the world in their spending on cosmetics. He also highlighted the emergence of Korean architecture and design and the gradual decline of the unhealthy long-hours work culture. He might also have mentioned the international reach of the Korean film industry: a screening of the latest Korean political crime thriller The King the same evening had perhaps tempted away one or two potential audience members that evening. The conversation ranged widely, from the high suicide and low birth rate, via the comfort women issue and the experiences of zainichi Koreans visiting their homeland to Park Chung-hee’s first five year plan. There was appetite for much more talk, but for more discussion we will have to return to the (highly recommended) book itself. Thanks to the British Korean Society for organising the evening and the KCCUK for hosting. The New Koreans (Rider, 2017, 480pp) is available from Amazon and elsewhere, priced around £12.